Two of Lincoln’s latest and most popular vehicles were recently named recipients of the Insurance Institute for Highway Safety’s 2017 Top Safety Pick award for their respective segments. The 2017 Lincoln MKZ earned the Top Safety Pick for the midsize luxury car category, while the 2017 Lincoln MKX earned the Top Safety Pick for the midsize luxury SUV class. Both the MKZ and MKX met the IIHS’ qualification of earning ratings of “good” in its five crashworthiness tests: small overlap front, moderate overlap front, side, roof strength, and head restraints and seats. In order to earn a Top Safety Pick, it must also earn an “advanced” or “superior” rating for front crash prevention; both the MKX and the MKZ were rated “superior” with optional driver-assist technologies including Pre-Collision Assist and Pedestrian Detection. Pre-Collision Assist with Pedestrian Detection utilizes camera and radar to determine whether a collision is imminent, allowing the vehicle to accommodate with more responsive braking if necessary. For the 2017 test cycle, IIHS is also rating vehicles based on their headlights as well as the ease of use of an available LATCH system. 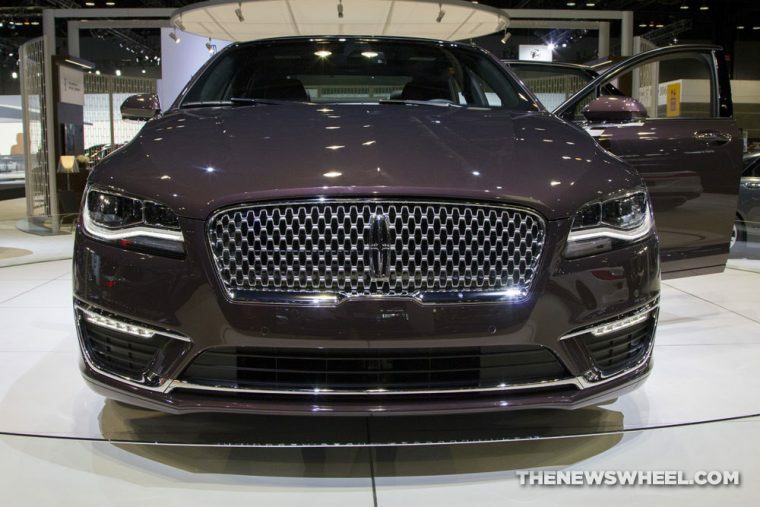 The MKZ’s headlights were rated “marginal,” and the MKX earned a “poor” rating for headlights and “acceptable” rating for its LATCH system. Both the 2017 MKZ and MKX are offered with a standard Blind Spot Information System with cross-traffic alert, which uses radar to detect vehicles in a driver’s blind spot and notifies them using lights integrated into the sideview mirrors. The system also issues audible and visual warnings when backing up if there is a vehicle approaching from either side of the vehicle.